Your chance to win a pair of Piega Classic 3.0 loudspeakers worth �899. Paul Rigby rounds up the latest audiophile vinyl releases. That can take on the best at its price, says Jon Myles. Jon Myles takes one out and about. McIntosh's new MB50 adds superb streaming to an existing system. Jon Myles explains all. 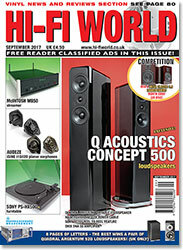 Martin Pipe reviews a new amplifier from Onix. A new power cable from Naim offers a tremendous upgrade, says Jon Myles. Martin pipe celebrates the quality of one of the first portable music players. Dave Tutt dissects the quality � and longevity � of Sony's popular reel-to-reel deck from the 1970s. Paul Rigby takes a listen to two new devices aimed at improving your listening experience. Get the best of out of your vinyl with new products from black rhodium and atlas. Paul Rigby explains how. Sony's new turntable features a digital output. Noel Keywood puts it through its paces. ZZ Top Tres Hombres, 1973 by Paul Rigby. Paul Rigby delves into a new book on punk pioneers the damned. Audeze brings planar magnetic drivers into in-ear monitors. Noel Keywood admires the concept. Brilliant designs that have stood the test of time. 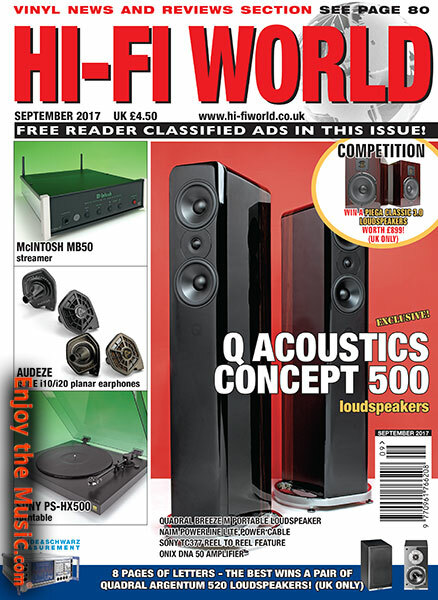 A comprehensive guide to UK hi-fi retailers. The Grateful Dead... all you need to know by Paul Rigby.